Happy Friday Friends! 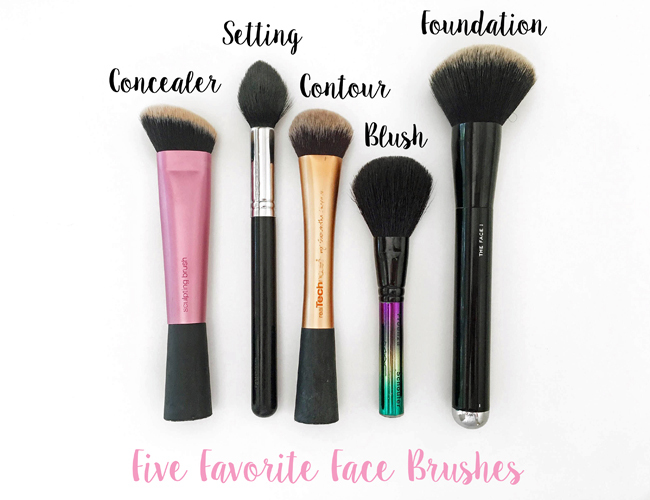 Today's Face It Friday is all about my five favorite face brushes! It was hard to choose five, but these are ones I literally could not live without. 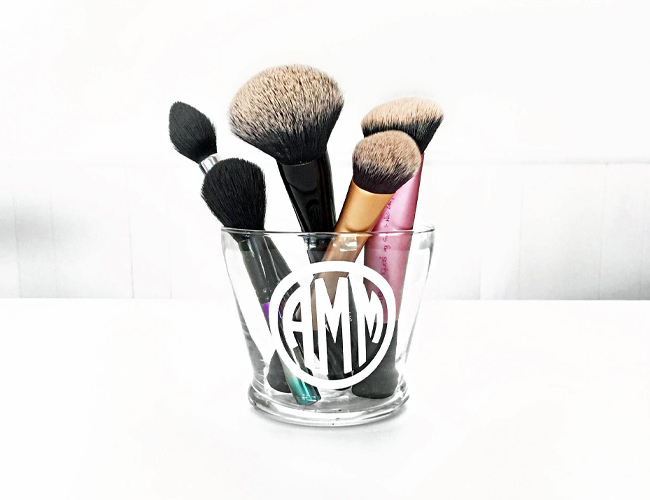 They create a more flawless finish and make application so much easier. Plus most won't break the bank! Concealer. I've had several favorite concealer brushes over the years, but for the past couple months have only been reaching for my Real Techniques Sculpting Brush. It's intended use is for contour, but I've found it's so nice and dense that it does a fabulous job of packing concealer into the skin and the angle allows you to get into the creases right underneath your eye. I highly recommend, especially because it's only $9.99! Setting. This is by far my most used brush. I've actually used it so much the brush head is coming loose from the handle. I keep waiting for the day it breaks, but luckily it's still holding strong - so no tears yet! The angled shape makes setting your highlight a breeze and it's small enough to use when wiping off excess product after you bake (a process of packing powder onto your highlighted areas and letting it sit so that it creates more emphasis and leaves you with a flawless finish). + this brush is very soft for the price point! Contour. This is the BEST brush for blending in contour. 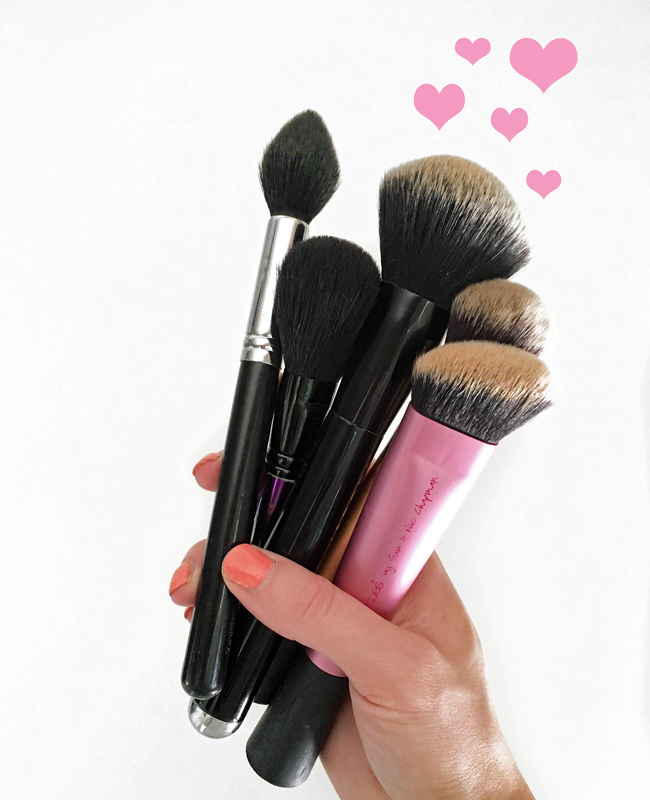 The bristles are short and super compact, making it easy to blend and keep product where you want it. I don't think I would know how to contour properly without this brush - seriously. And only $8.99! Blush. A while back I ordered this baby blush brush from MAC when they were selling their Proenza Schouler collection. When I received it I could not believe how much I paid for such a little, travel size brush...BUT then I used it, and it's been my favorite blush brush since. It's a similar shape to others I own, but there's just something about it. The bristles are ultra smooth and it works really well for a more pigmented application. I've linked the full size version above. Foundation. I saved the best for last! I kid you not, I haven't used anything else for foundation application in well over a year. The price tag is higher, but let me tell you...so worth it! This brush is amazinggg quality and through all the wash and wear I've yet to see it shed. It's extremely luxurious with very soft bristles and a very sturdy handle. My liquid foundation has never looked better and if I ever try to use another brush (or even a blending sponge) I always go right back. 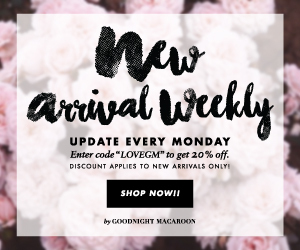 As always, all products are linked above so you can shop! Have a wonderful weekend and make sure to come back for Motivation Monday! If you live in California try and stay cool. Such a hot, hot week - set that powder ladies!